A Morecambe woman has pleaded guilty to breaching immigration law after an illegal worker was found hiding behind a TV following a police raid. Lancaster Magistrates Court heard on Monday, July 4, that Paola Michelle Duncan, of Carleton Street, was the supervisor at the Nice and Spicy takeaway in Kendal when police raided the premises on October 25. Three illegal workers were found when police entered the building. Prosecutors said that when Duncan was asked by police if there was anyone else present, she told them ‘no’. They then carried out a search and a Bangladeshi man was found hiding behind a TV. Duncan’s defence solicitor told the court that she played no role in employing the illegal workers. She will be sentenced at Preston Crown Court on August 5. Meanwhile Zubeir Yakub Mister, 40, of Standen Park House, Lancaster, faces 16 charges of breaching immigration law and four fraud charges. Christopher Donaldson, 30, of Greenfinch Way, Heysham, also faces 16 charges of breaching immigration law, possessing false passports, possessing a false national insurance card, and arranging travel for a man intending to exploit him. Ian Dewhirst, 31, of Whitmoor Close, Morecambe, is accused of breaching immigration law and arranging travel for a man intending to exploit him. 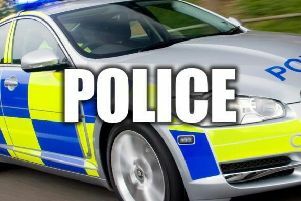 The three men did not enter a plea at Lancaster Magistrates Court, and are due to face trial at Preston Crown Court on August 5.